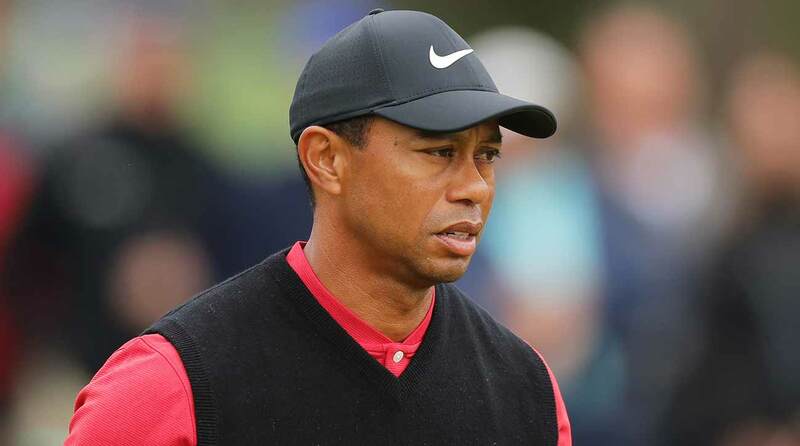 PONTE VEDRA BEACH, Fla. — The last time Matt Fitzpatrick teed it up with Tiger Woods, things were dramatically different. That was the 2017 Omega Dubai Desert Classic, where Woods fired an opening 77 before withdrawing. He wouldn’t return to the course for nearly 10 months. On Sunday, it did look like Woods might shoot six or seven under. Despite cool, windy morning conditions, Woods birdied 2, and 4, and 7 and 11 to get to four under. A bogey at 14 and a water ball at 16 thwarted his chances at a low final round, but he closed with a three-under 69, his best score of the week. After a middling showing at TPC Sawgrass, what's next for Tiger Woods? For Woods, a few moments stand out from the week at Sawgrass. A five-birdie, three-bogey rollercoaster back nine in the first round. A two-splash quadruple bogey on 17 in round two. From Sunday, two notable par saves stuck out. One, a highlight-reel bunker hole-out at No. 3. The other, an up-and-down from 151 after rinsing his second at No. 16. Two stats also stuck out this week, both zeros. First, zero three-putts, an important statement given his three-whack issues his last several tournaments. Second, zero double bogeys. Yeah, there was the quadruple. But no doubles at this TPC terror trap suggests some general sense of control. He looks like a guy who could go shoot six or seven under, not the guy who was scrambling it ‘round. What’s next for Tiger Woods? Schedule-wise, we have a pretty good sense. His next start will be the WGC-Match Play in two weeks, in a round-robin format he’s never played and at a course, Austin Country Club, that he’s never seen. Then there’s a week off before the big one: the Masters, now less than a month away. To hear him tell it Sunday, Woods’s prep is going according to plan. After that, we can guess. Wells Fargo in early May. Then the PGA Championship at Bethpage. Then Memorial, followed by the U.S. Open at Pebble Beach. Health willing, there’s a full summer of Tiger ahead. Just a week ago, Woods skipped Bay Hill with a hurt neck. To hear him tell it this weekend, that’s no worry. We won’t know, of course. With Woods, do we ever? But for most of the week, he was walking and talking like a man who meant it. Woods’s finishes had been trending up: T20 at Torrey, T15 at Genesis, T10 at Mexico. He’ll end up around T30 at Sawgrass. That’s not great, but it’s pretty good. No doubt that it’s a lot better than 2017 in Dubai.